We are Chiropractors Huntsville Al. This clinic is located in South Huntsville in Jones Valley. Millar Chiropractic - Huntsville AL (Jones Valley) is part of the Alabama Millar Chiropractic Clinics. Millar Chiropractic Clinics now has Chiropractic clinics located around Huntsville and Madison Alabama . That means were close to home or work. 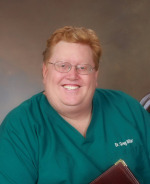 Hello I'm Dr Greg Millar, DC CCEP, Chiropractor. Welcome to MIllar Chiropractic Clinics and Health and Wellness. Millar Chiropractic - Huntsville AL (Jones Valley) is a place of healing, wellness, and learning. 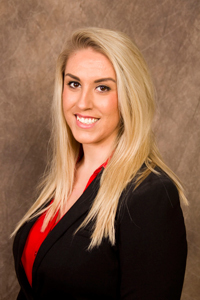 Dr. Jessica Davis, DC is the Senior Millar Chiropractor at the Jones Valley clinic. She is originally from the Davenport Iowa area. There she attended Palmer College of Chiropractic receiving her Doctorate of Chiropractic Degree. She was one of the top gradates in her class. She is highly though of and reviewed by her patients. She has nearly 100 google 5 star reviews and about the same number of 5 star Facebook reviews. Doctor means teacher, and Dr Jessica as she likes to be called is a wonderful teacher to his patients. She loves to teach and share information on natural healing of their condition as well as information on vitamins, nutrition, diet, fitness, and wellness. Dr Jessica likes to treat all kinds of Chiropractic problems from Arthritis to Whiplash but she specializes in Low Back Pain, Neck Pain, Headaches, Sciatica, Joint Pain [hip, knee, ankle, foot] [shoulder, elbow, wrist, hand] and Whiplash & Personal Injury cases. She likes treating kids and families as well. Dr Greg Millar calls her an excellent Chiropractor. She adjust manually or with the Activator instrument. At the Millar Chiropractic - Huntsville AL (Jones Valley) clinic we have the DTS - Decompression Traction System. We also have laser therapy and physiotherapy modalities such as e-stimulation and ultra sound. Compassionate Healing in a State of the Art Practice. We work closely with local medical doctors and we will work closely with your medical team as well. That gives you the best of both worlds. Doctors you already know and trust working with new Alternative Doctors willing to bring to the table new ideas and thinking. Millar Chiropractic Clinics was recipient of the Best of Huntsville, Chiropractor Award for 2017, 2016, 2015 and 2013. Wow three years in a row is amazing. Discover what thousands of your friends and neighbors already know. Millar Chiropractic Clinics would be honored to be your Chiropractor. 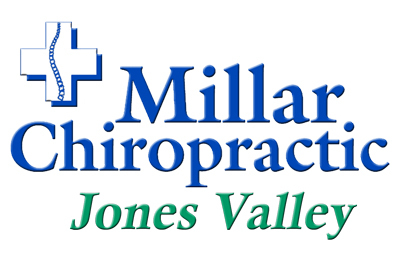 Dr Jessica Davis is the Senior Millar Chiropractor at Millar Chiropractic Jones Valley, LLC. d/b/a Millar Chiropractic - Huntsville AL (Jones Valley). Each office owned and operated independently and constitutes a separate group practice. Millar Chiropractic Associates, Inc. is the marketing and management company for Millar Chiropractic Clinics. See Notices and Disclaimers.